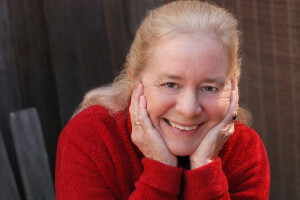 Today we are going to speak to Jan Constantine, general counsel for the Authors Guild. The Authors Guild is the largest and oldest organization representing authors in America. I love the Authors Guild, and as an agent, I am proud to be a member. It is an amazingly robust, sometimes even militant, advocacy organization that fights for the rights of all writers. They engage in numerous activities including lobbying Congress on copyright and book piracy issues and advising writers on how not to get taken advantage of by publishers. In this brave new world of the Internet, where tech gurus tell us that “information wants to be free,” The Authors Guild fights for the quaint notion that the work of the writer, like all work, has dignity and deserves to be compensated. Everyone reading this blog should join. It’s only $90 a year. Check out their eligibility requirements. Andy: Jan, welcome to “Ask the Agent.” I think the $90 membership fee for the Authors Guild is a pretty good investment for any writer. Can you tell me what that buys you? Jan: Absolutely, Andy, and thank you for having me. One of the things our members find most useful is our Model Book Contract. It’s a manual that goes through a publishing contract clause-by-clause. For every provision, we provide members with what we think of as a “model” clause, and then next to the model clause we provide a running commentary educating authors about what exactly is at stake in each part of the publishing contract. It’s a very empowering tool that gives authors the knowledge and insight to successfully negotiate with publishers. 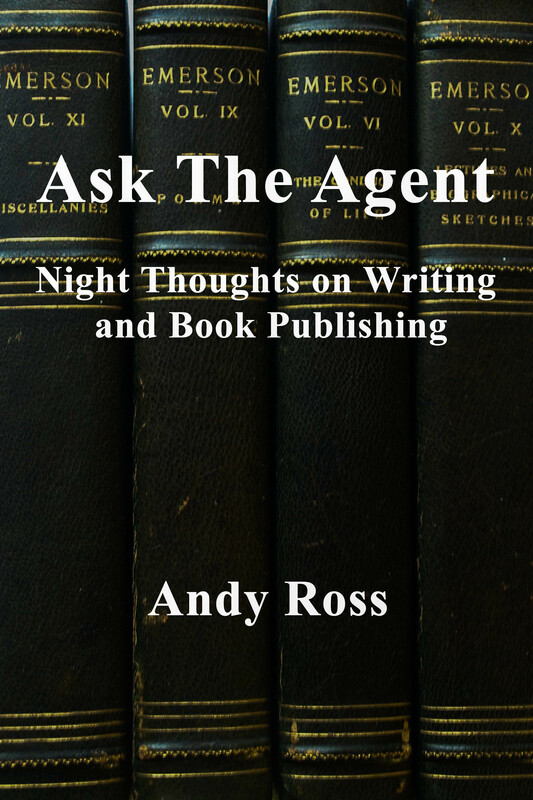 Andy: As an agent, I have to negotiate book contracts all the time, and I find the Model Contract an indispensible reference. Not to put too fine a point, a book contract is an asymmetrical agreement where the publisher agrees to give the author a pathetically small amount of money in exchange for the author’s intellectual indentured servitude for the term of the copyright. The Model Contract is a great tool for helping the author avoid the pitfalls. Of course the Model Contract and representation by a good agent is even better. Can you just tell us a few of the issues in a book contract that authors should be watching out for? Jan: Our Model Contract advises authors to be wary of a number of one-sided provisions that are often present in publisher’s boilerplate forms. One to look out for is a so-called “joint accounting” clause, which provides that any money the author might owe the publisher under contracts for other books can be deducted from payments due to the author under the current book contract. Our position is that each publishing contract and book should be treated as a separate venture. Non-competition clauses, if broadly-worded, can also be troublesome. Most book contracts have non-competition language that restrains the author from publishing a “competing” work. We counsel authors to define a “competing work” as narrowly as possible, especially if they think they might write subsequent works on the same or a similar subject. Those are a few issues that come to mind. The bottom line is that a publishing contract is a joint venture between author and publisher. A well-negotiated contract should reflect their mutual investment in each other. Andy: So, Jan, what else does the Authors Guild do? Jan: Of course there’s our lobbying, which you mentioned in your introduction, and our lawsuits. Members also receive our quarterly Bulletin, which covers the publishing industry from the author’s perspective, and they have access to legal services, such as contract reviews and intervention in publishing disputes, at no cost. Then there’s the Author’s Registry, a not-for profit that secures foreign royalties for U.S. authors. All members are automatically enrolled. Since 1996 the Registry has distributed more than $22 million to authors. We have a program called Backinprint.com which lets authors sell their out-of-print books as print-on-demand paperbacks. We offer web services that allow authors to build full-featured websites. We host in-person and phone-in seminars to educate authors on all aspects of their profession. That’s a long list. We like to think that membership is a great value. Andy: And you get all that for $90 a year! Let’s talk about “information wants to be free.” This cliché seems to express a kind of ethos going around the Internet. It’s exemplified by “Wikipedia.” It’s a world where all people are experts and where people’s intellectual work is accordingly devalued and not worthy of compensation. Do you care to comment on this? Jan: Well, I think Wikipedia may not be the real enemy here. That’s a situation where people are donating their expertise with no expectation of financial compensation. We’re more concerned with piracy—theft—making copyrighted works available for free, in violation of the author’s right to distribute her work and her right to make a living from her work. And yes, this type of piracy does seem to be encouraged by those who rally behind that slogan, “information wants to be free.” But you know what? That’s only half of it. They get that slogan from Stewart Brand. But what Brand was talking about was this tension that won’t go away. Information wants to be free, he said, because it’s so cheap to distribute now. But on the other hand, he said, information wants to be expensive. Why? Because it’s so valuable to the recipient. And this is a tension that is embodied in our nation’s copyright laws in a very productive way. The author has exclusive rights, sure, but there’s also fair use, and exceptions for schools and libraries, and the fact that copyright doesn’t last forever. It’s a tension that’s expressed in the Copyright Clause in the Constitution, and it’s a tension acknowledged by Congress every time it brings different stakeholders to the table to discuss what needs to be changed in our copyright law. Andy:So what kinds of things is the Authors Guild doing to combat piracy? Jan: Well, I just mentioned Congress. The Authors Guild has been working with legislators and private companies for years to develop a more comprehensive solution to online piracy. Two bills proposed in 2012—SOPA and PIPA—would have done something to diminish Internet piracy, and we supported them. Search engines and Internet service providers are profiting daily from linking to and hosting pirate sites, and the Digital Millennium Copyright Act, the 1998 law that addresses this problem, is doing little to stop them; the Copyright Alert System is doing little to stop them; and they certainly aren’t policing themselves. For example, an international recording industry group recently announced it sent its 100 millionth piracy notice to Google—with no noticeable demotion of pirate sites in search results. Jan: We couldn’t agree more. The only difference is the extent to which this type of theft is accepted, or at least ignored. And that seems to be at least in part a result of the “information wants to be free” ethos. Andy: One of my pet peeves is Amazon.com. It seems to me that they have cultivated a notion that books cost too much, that e-books have a kind of inherent value of about $2.99. I don’t think this price recognizes the value added that goes into a professionally written and published book. Can you explain why books, electronic and paper, might merit a higher price? Jan: The real problem is that Amazon is selling books at an artificially lowprice. A look back at Amazon’s tactics over the years makes it very clear they’ve always used books as a loss leader. Amazon has sold print books at a loss for years in order to drive its market share. It’s doing the same thing with e-books. It’s an artificial market. This shields it from competition with any but the biggest competitors and makes it incredibly difficult for brick-and-mortar bookstores to enter the e-book market. And you’re right, the danger is that consumers get the notion that the inherent value of a book is cheaper than it actually is. Andy: Recently the United States sued Apple and the major publishers for trying to fix prices. The publishers lost. The Authors Guild was supportive of the publishers in this instance. How come? Shouldn’t we be encouraging free market competition? Jan: Well, our position was that the strategies pursued by Apple and the publishers were increasing competition. Apple and the publishers were offering a new model for the sale of e-books, where Apple would act as the publisher’s sales agent, with no authority to discount e-book prices. In the two years after this new “agency model” was introduced, Amazon’s share of the e-book market fell from 90% to 60%. Barnes & Noble introduced a tablet to compete with Amazon’s Kindle during this time. Brick-and-mortar stores began partnering with Google to sell e-books to their customers at the same price they were being sold from Amazon. These look to me like the effects of a free market. Andy: Jan, thanks. This is just a small sampling of what the Guild is doing. You should check out their website and blog.